Looking for Jeep Grand Cherokee Stripes, Jeep Grand Cherokee Decals, Jeep Grand Cherokee Vinyl Graphics, Jeep Grand Cherokee Racing Stripes Trailhawk? This fourth-generation Grand Cherokee released in 2011 retains its classic Jeep styling and combines a sleek and modern body style. And the popular Trailhawk model appeals to the outdoor type and tackles more serious terrain. 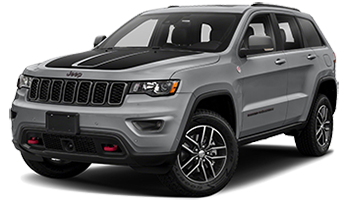 Below you'll find a wide variety of Jeep Grand Cherokee stripes, Jeep Grand Cherokee decals, and Jeep Grand Cherokee vinyl graphics for the model years indicated. Featured you will find the TRAIL HOOD Jeep Grand Cherokee Trailhawk Hood Decal Stripe Vinyl Graphic Kit, the PATHWAY HOOD Jeep Grand Cherokee Center Hood Decal Stripe Vinyl Graphic Kit, the PATHWAY SIDES Jeep Grand Cherokee Stripes Upper Body Door Decals Vinyl Graphic Kit, and so much more! Choose one of these popular vinyl decal styles today!